We love our chrome ponies too, you know! 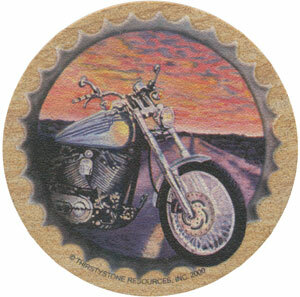 These coasters feature a Harley in the middle of the road in the midst of one of our beautiful Arizona sunsets. The set comes with four matched coasters. These coasters are made right here in Arizona.